Known for its orchards, scenic vistas, Bactrian camels and monasteries, Nubra Valley lies in the northernmost part of Jammu and Kashmir. Diskit is the capital of this tri-armed valley, north east of Ladakh. Known as the ‘Orchard of Ladakh’, scholars claim the original name was Ldumra or ‘Valley of Flowers’. 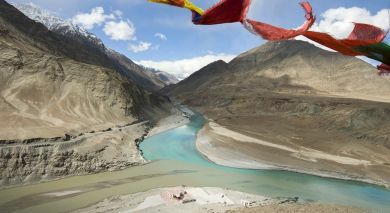 Lying about 150 km north of Leh, the Shyok River meets the Siachan River to form this large valley separating the Ladakh and Karakoram Ranges. Situated about 10,000 ft above sea level, Nubra is surrounded by the brilliant snowcapped Himalayan ranges, and lies sandwiched between Tibet and Kashmir. During winter, the entire valley appears like the moon’s landscape; while in summer, it is lush green. A predominantly Buddhist region, there are several Buddhist learning centers. Ensa, Samstemling, Diskit and Hunder are noted Buddhist monasteries. The Chamba Camp is neatly tucked away in tranquil Nubra Valley, near the charming village of Diskit in Ladakh. 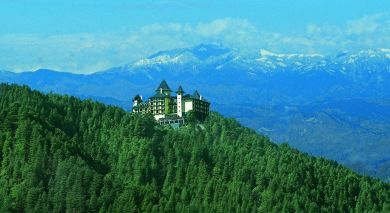 Stay in luxurious en suite tents set amid a lush landscape surrounded by the majestic Himalayas. The Tirith Camps are located on the Hunder-Sumur road in the beautiful village of Tirith. Located in the scenic Nubra Valley of Ladakh with the mighty Himalayas as the backdrop, Mystique Meadows Earth Homes are a glimpse into the land of natural wonders. This camp is situated in the beautiful village of Hunder (9,300 ft), just 7 kms from Diskit, the headquarters of Nubra Valley, and is a 2 min walk from the famous sand dunes.